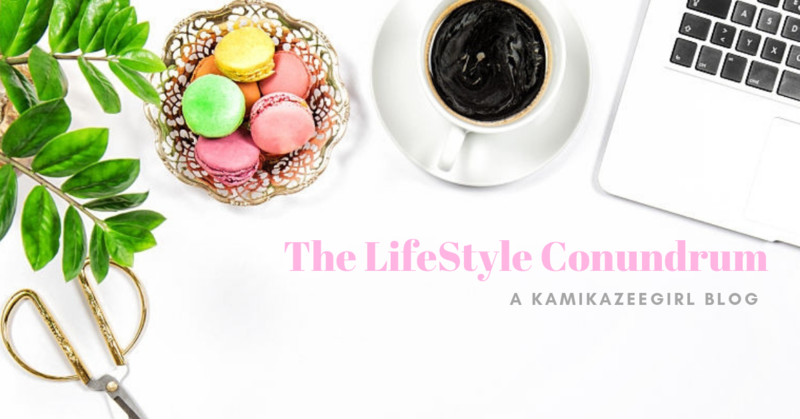 Elements of Style – My Way. I am at an age where I am expected to dress less like a Millennial on a soul-searching trip, and more like the #girlboss that I aspire to be. You know the drill: the #TimelessStyle – a solid and dependable little black dress, trusty black pumps, complementing blazer and a string of pearls around my neck. And while I am in love with this ensemble — floral-patterned wrap dress that flatters the figure and hides the bumps, solid black pumps with good heels and layered pearl necklace — it also does not represent who I am or how uncomfortable I was. My feet were hurting the whole day from wearing my trusty heels. That while I love this dress, it just doesn’t work for me every single time since working in PR meant being on the go most of the time. That in as much as I loved how mature I looked and how on-point was my style – it just wasn’t me. In the day and age of fashion influencers, of #OOTDs and power dressing — who makes the rules anyway on what is really trendy and fashionable? After all, the trends that everyone used to eschew back in the day is currently doing heavy rotation on the pages of fashion magazines: they say the 80s, 90s and heaven forbid, the 70s are back. As the seasons change along with the wants and obsessions of the people, who really has the last say? In my case – I tend to always choose the classic route; alternating between the laid back and the comfortable. Yes, I am the kind of woman who lived for comfortable jeans, and comfy tops and long sleeves; who loves her brogues and oxfords over heels; who considers a well-made hat as a a fashion investment and whose love for a classic black satchel remains true. I tend to stick to dark colors which allowed me to mix and match my clothes; and style them no matter how I like – corporate with a bit of edge, laid back or comfy for quick trips and night outs. As you can see from the photo, most of my clothes are black; with a smattering of navy blue and gray. I’d like to invest more on white clothes but the care and maintenance is keeping me on the edge. If you can, opt for quality pieces that lasts – I used to get a kick out of buying dirt cheap clothes, but learned my lesson when it gets frayed (or worse, torn due to wear and tear) in just a year. Case in point: I have this bootleg denim which I bought on sale at Mark’s & Spencer about four years ago. It’s still my go-to piece when I want to wear jeans but does not want to look “too laid back.” I always pair it out with my trusty ankle boots and my black knit sweater and I’m all set for corporate Fridays. Even if you’re a “jeans and sneakers kind-a girl” (like me), invest in a good black dress. Karl Lagerfeld once said, “One is never over-dressed or underdressed with a little black dress” — but if I may boldly paraphrase Lola Karl, maybe don’t stop with that little black dress: buy a full-length cocktail number or a mid-length one. Own it. In my case, I have three black dresses which I can always count on for times when I need to dress up. And lastly – and if I may so, always be yourself. Do not be afraid to dress comfortably and revel on who you are. If you are comfortable with the sweat pants and your beanie; or heck, even the pokemon lounge wear – wear it. Timeless dressing means being who you are – beyond trends, beyond brand names and beyond rules. Investing in clothes also meant that you should be able to take care of them. Why? So that they will last longer and that you will get to wear and enjoy these key pieces for a few years. I organize and store my clothes based on colors – the blacks have their own pile, along with the grays, blues and the few colored clothes I have. Invest in quality hangers – I recommend buying wooden hangers with a sloped/curved ends, instead of the usual plastic ones with sharp ends. I learned this the hard way after I left one of my remaining white polo shirt on a plastic hanger. Only keep in the closet the items you wear on a day-to-day basis. For seasonal clothes like sweaters, jackets and even swim wear, put them in plastic boxes and keep them in storage. This will lessen the number of items in your closet and will allow your pieces to breathe. Less stuff in the closet means there’s less stuff crammed inside; clothes do not get wrinkled or misshapen. Store leather items (like belts, shoes and bags) inside cloth bags or dust bags to protect them from the elements. Lastly and more importantly, keep them clean. Timeless pieces like a good cotton polo shirt, that little black dress or a nice pair of trousers served as good investments. While laundry shops are a dime-a-dozen nowadays, it’s still good measure to wash your own clothes. Obviously, our busy, fast-paced lives meant doing the laundry should be easy, painless and effective as much as possible. Investing in timeless pieces also meant investing on how you care for the very items you wear. Now, I know not all of us are a fan of washing clothes and ironing clothes (in my case, I’d rather spend the whole day in the laundry than iron my clothes). Maybe, it helps if you are using a really good washing machine that can assure you that it will do the job efficiently and with the least possible hassle? In my case, I am currently curious to try out (and maybe invest — *Christmas bonus goals*) on a good washing machine. Right now, I am really partial to Electrolux’ wide range of washing machines currently up for grabs with their ongoing Electrolux Amazing Holideals, with up to 25% in discounts and freebies.